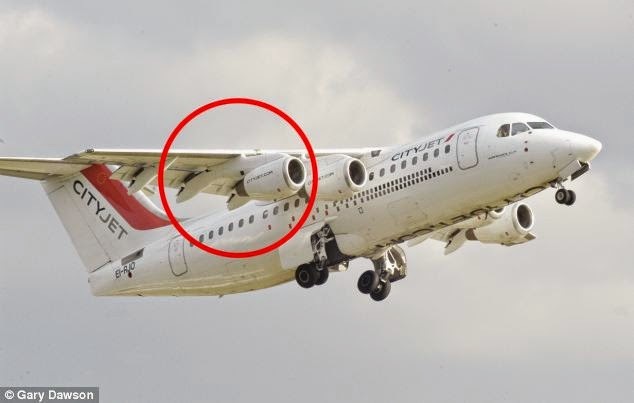 Don't know what's happening with the aviation industry these days.Yesterday a CityJet plane with over 60 passengers was forced to turned around when part of the wing suddenly fell off mid-flight . The flight which took off from London's City Airport left passengers scared for their lives and one recorded the accident. 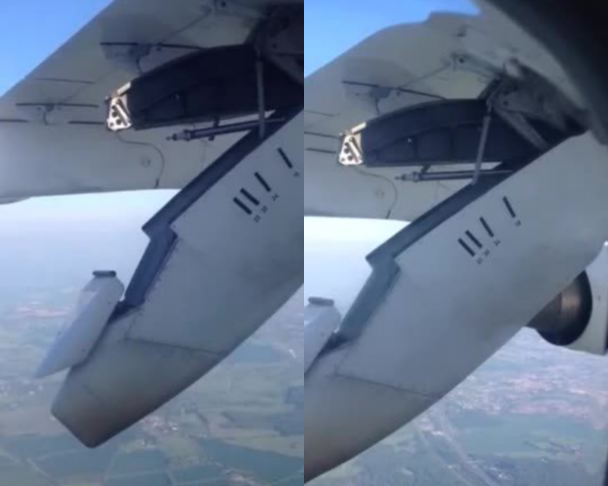 The section of wing was left dangling dangerously under the plane as it circled back over the Thames Estuary returned to the airport.Despite the damaged state, the pilot managed to land the aircraft .